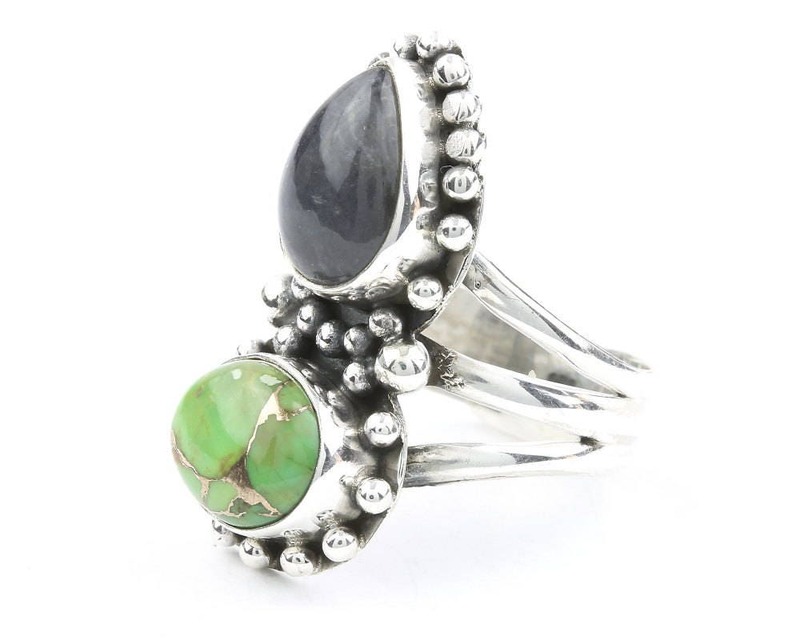 Beautiful stone combination of Labradorite and Green Copper Turquoise. Set in sterling silver with gorgeous silver bead detail. Lovely shape with triple band detail. The light patina finish accentuates the detail of the piece. 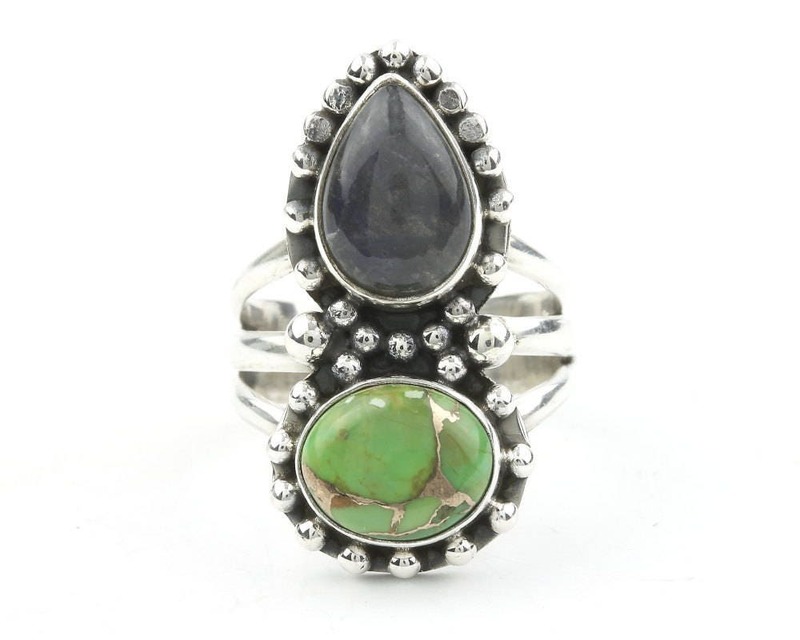 Gemstone is Labradorite and Green Copper Turquoise. Well, I found my new ring store. I recently lost a lot of weight, I've never been able to fit into a size 10 ring before. So I bought this ring as a gift for myself, and I can say, it fits perfectly. P e r f e c t l y. Thank you!! Unusual combo of the stones and colors. I like it!